Sharing as a Branded Presentation is solely for the purpose of presenting your images or clips for viewing and downloading. NOTE: Collaborators cannot Share as a Presentation Page. When creating your Branded Presentation Page you'll see two layout options Blog and Reel. Move forward or backward on the video and click on different assets within the reel strip. Click on the previous/next arrows to view other media or use the left/right arrow keyboard shortcuts. 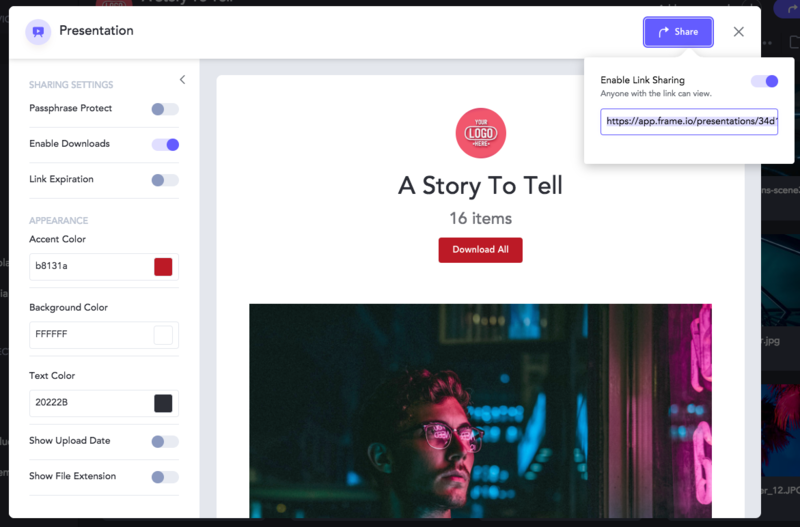 Before sharing your clips as a Presentation Page you'll want to make sure that your assets are organized in the order you'd like them to be displayed on the Presentation link. 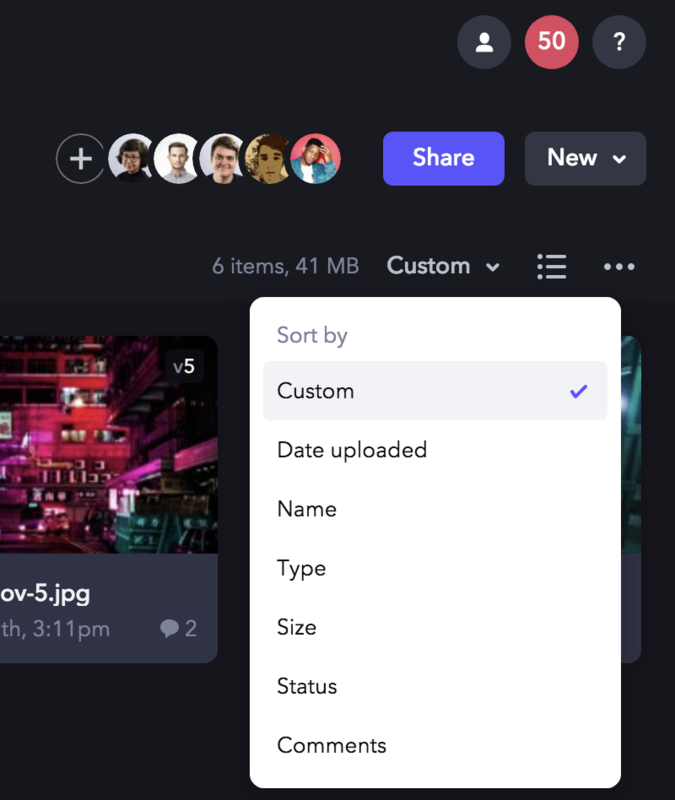 NOTE: Custom Sort is the only sort order that will translate to your Presentation Pages. By default, sharing is set to off for privacy and security. Once you turn sharing on, a URL is created so you can send it out. Adjust the Link Settings according to the receiving recipients. You have the option to enable downloading or to require a password.